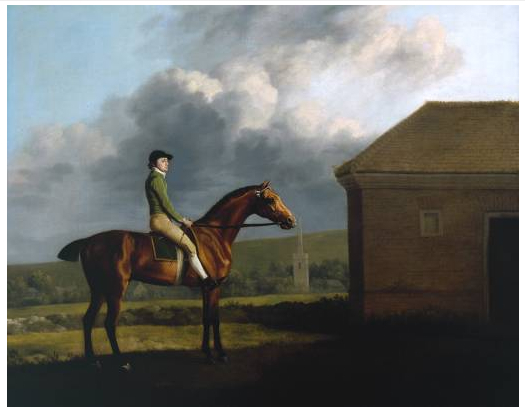 The estimable George Stubbs (1724-1806) made his reputation on his paintings of horses. 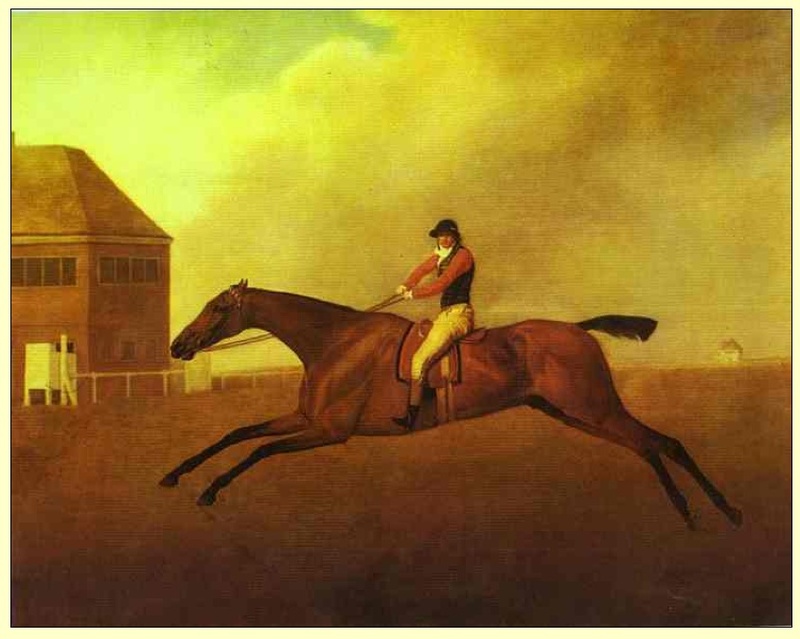 Many of these feature what was known as a “rubbing-down house,” an interesting background detail common to the environment of upper-class horses. Except that in Stubb’s work the house is often a major feature, both in size and formal application. 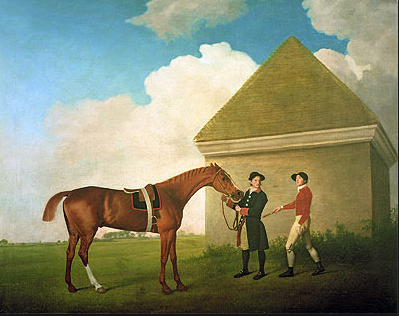 In “Baronet,” above, the house just kisses the horse’s nose. This has the effect of solidifying foreground, background, and horse into a flat, almost abstract picture plane. 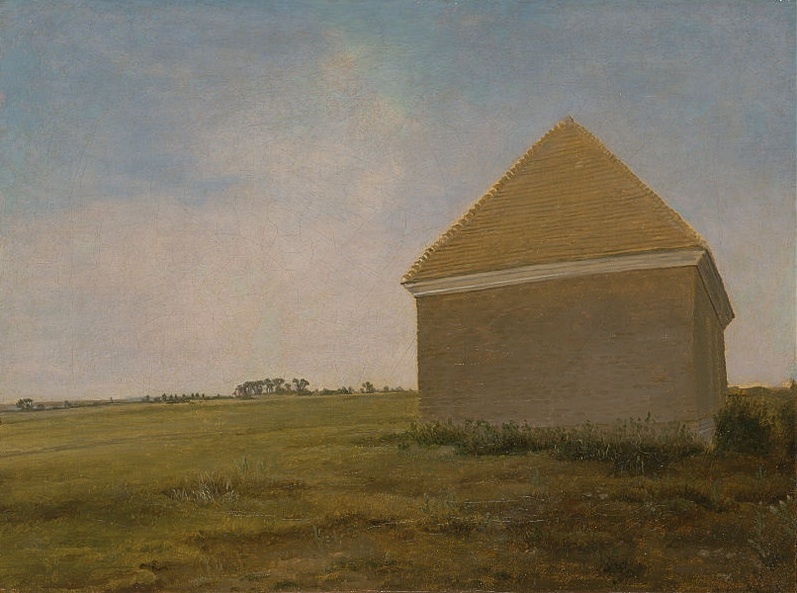 The house in “Eclipse,” together with the clouds behind it, performs the same function (and notice how he cuts very close to the house on the right, to prevent the eye from drifting off into the distance and getting stuck there, as in the study below). In “Otho” the house is a large, moody presence that casts an intense shadow even though it is untouched by the brilliant light that illuminates the horse. These pieces are very actively composed. Stubbs wasn’t simply copying what was in front of him.